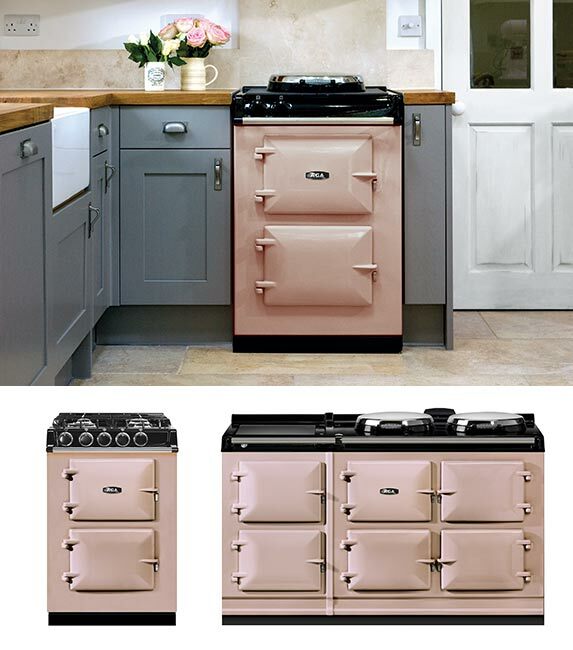 New from AGA, the AGA 3 Series marries beauty and functionality. Controllable and practical, the AGA 3 Series offers a versatile hotplate alongside its iconic ovens. The hotplate feature can be set to boiling or simmering. Around the hotplate there is an additional cooking area that can be used to simmer on when the hotplate is set to boil, and as a warming plate when the hotplate is in simmering setting. Of course, it’s AGA’s ovens that get all the attention. In the four-oven model, two cast iron ovens and two steel ovens offer different functions. The first cast iron oven can be set to baking or roasting modes while the second is a simmering oven. The smaller version will easily fit even in a small space. The steel ovens provide cookware storage and a warming oven. The AGA 3 Series comes in nine evocative colors: Cream, Blush, Dove, Black, Aubergine, Dartmouth Blue, Dark Blue, Heather, and Linen. While the Aubergine and Dark Blue are both vivid and dramatic, Blush and Heather are unexpected, bringing romance back into the heart of the home.